Engineering experts determined in February that corrosion of the metal cables supporting the Genoa highway bridge had reduced the bridge's strength by 20 per cent — a finding that came months before it collapsed last week, an Italian newsmagazine reported Monday. Prosecutors are focusing their investigation into the cause of the bridge's collapse on possible faulty maintenance or design flaws but have not identified any targets. Espresso reporter Fabrizio Gatti told SKY TG24 that a reduction of 20 per cent strength would not be significant in a modern bridge, but on a structure with the known defects of the Morandi Bridge it should have merited swifter, more decisive action. Graziano Delrio, the transport minister at the time, told a news conference Monday that "no one ever signalled the necessity of limiting traffic" on the bridge. Ricardo Morandi himself warned four decades ago that it would require constant maintenance to remove rust given the effects of corrosion from sea air and pollution on the concrete, Italy's public broadcaster reported on Sunday. RAI broadcast excerpts of the report Morandi penned in 1979, 12 years after the bridge bearing his name was inaugurated in Genoa. The Associated Press downloaded the English-language report from an engineering news portal. Morandi, who died in 1989, reaffirmed the soundness of the reinforced concrete bridge design he used but warned: "Sooner or later, maybe in a few years, it will be necessary to resort to a treatment consisting of the removal of all traces of rust on the exposure of the reinforcements, to fill in the patches." Bidding on a 20-million-euro ($ 29.9 million Cdn) contract to reinforce two of the major supports for the bridge, including one that collapsed, was scheduled to close next month. 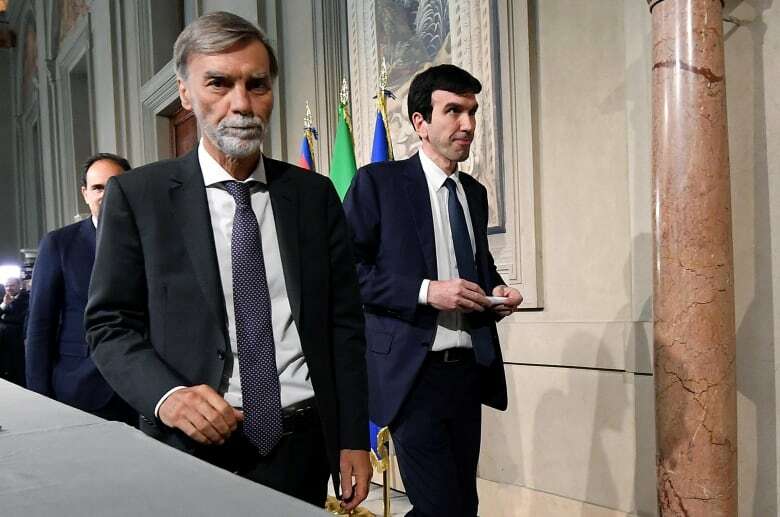 Premier Giuseppe Conte says procedures have begun to revoke Autostrade per l'Italia's concession to operate some 3,000 kilometres of Italian highways, about half of the total highways operated by private companies. Italy's main union confederation estimates it would cost Italy between 15 billion and 18 billion euros ($ 22.4 billion Cdn to $ 30.8 billion Cdn) to revoke the highway rights. The company that owns Autostrade, Atlantia, lost 9.5 per cent in its shares to 17.50 euros in trading Monday, after a late opening due to volatility. It shed 22 per cent last Thursday, the first trading day after the government announced its intentions, before returning to positive gains on Friday.